The first foal of the year has arrived! She is beautiful baby girl and her and mum are doing fantastic. 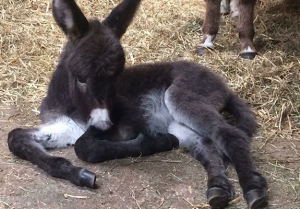 It is so special when the foals arrive as donkeys are pregnant for at least 12 months and we only normally have 2 foals each year. We cannot wait for you all to meet her!